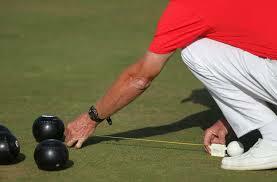 This year once again Bowls BC will be offering Officiating Courses that will be facilitated by Head Umpire George Cubiss. In the past couple years, George and his Team have worked tirelessly, to ensure that the Province has qualified umpires throughout the districts. This year will be no different as courses will be held throughout the four districts. This is a entry level training program for umpires that has been developed to encourage bowlers to become umpires and gain experience at their local events. A Level 1 umpire is certified to officiate at all club, local and provincial events.